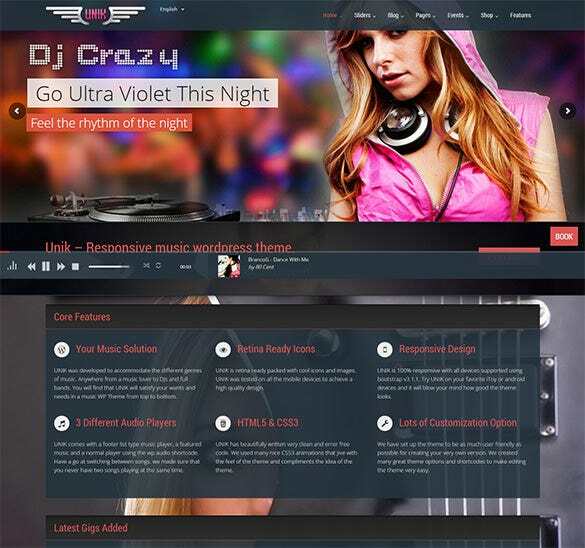 Reach out to the globe of music lovers, hit the highway to success, and create a brand for yourself in the simplest yet most effective manner, with a modern looking, richly designed and craftily made music website.Unlimited fonts and colors tweaking, experimentation with the intuitive page builder, swanky new 3D menus, a killer parallax design that rivets attention, and on-page tools and widgets that are tailor made for musicians, rock bands, pop artists, and music composers – that’s what’s in store for you in the form of awe inspiring beautiful and magically functional music website templates from WordPress stables. 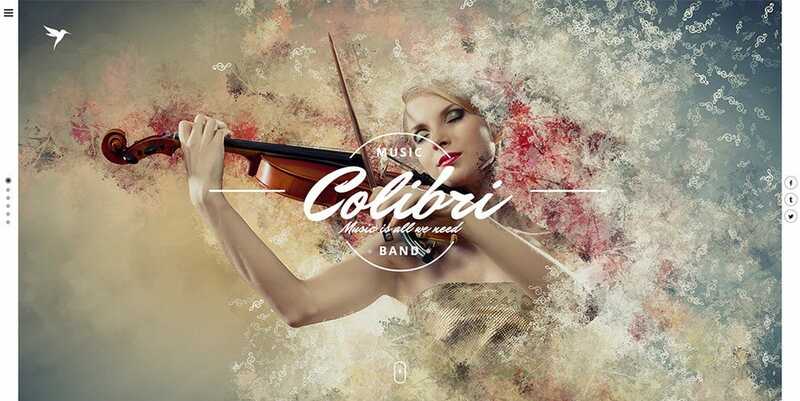 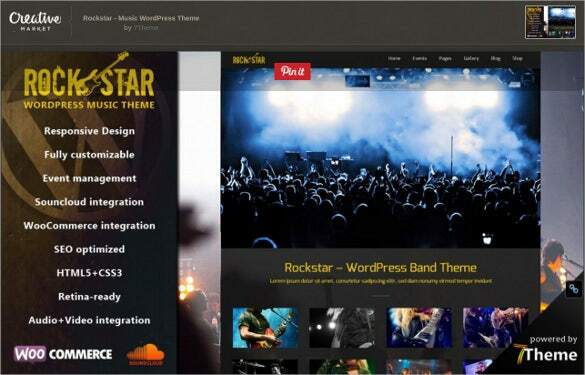 You can also see Music PSD Themes. 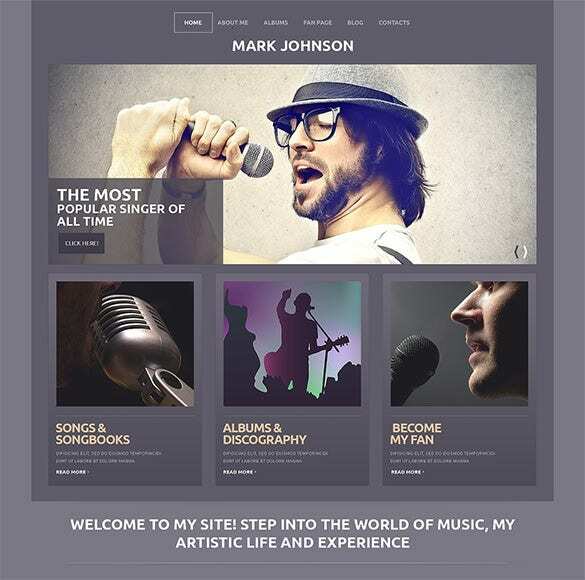 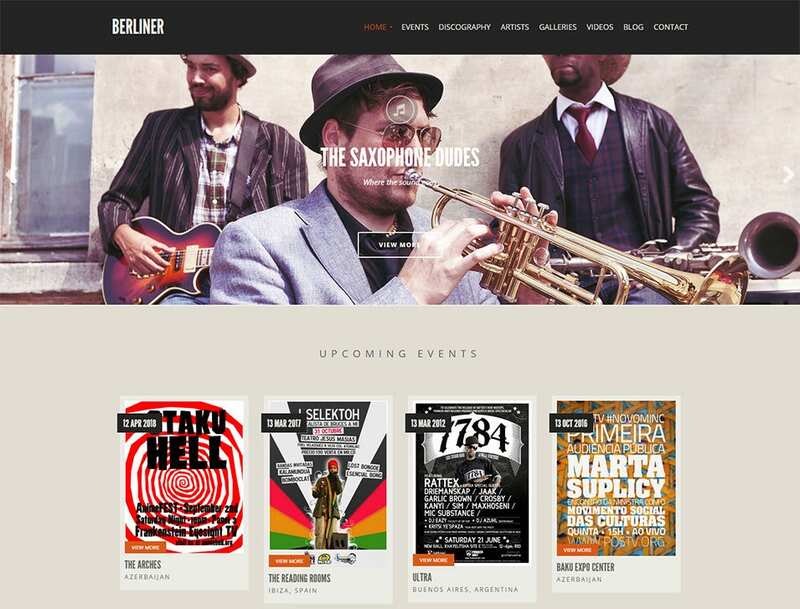 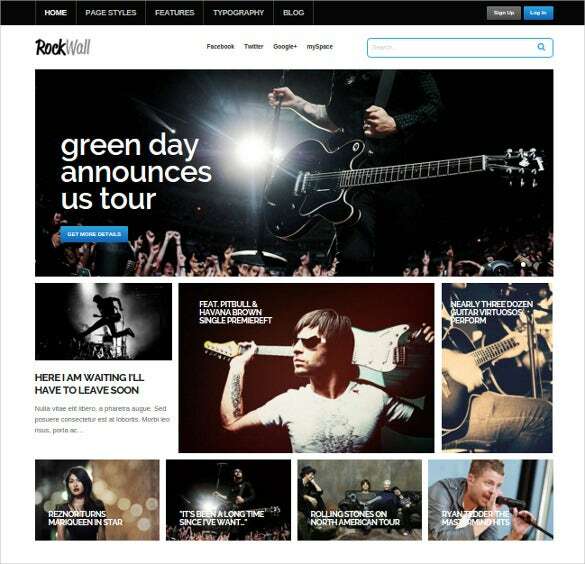 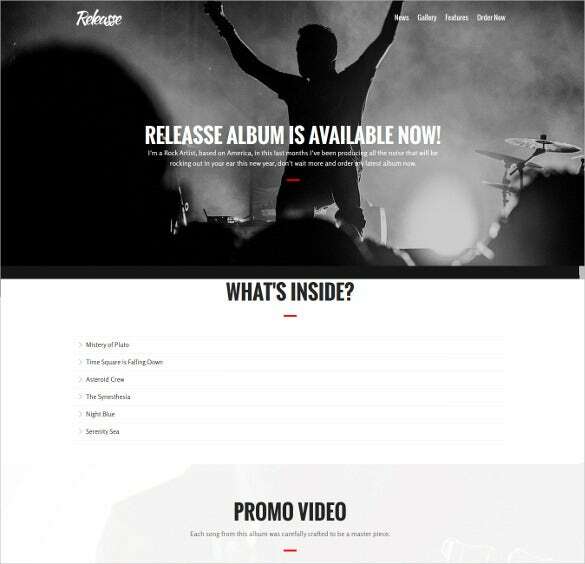 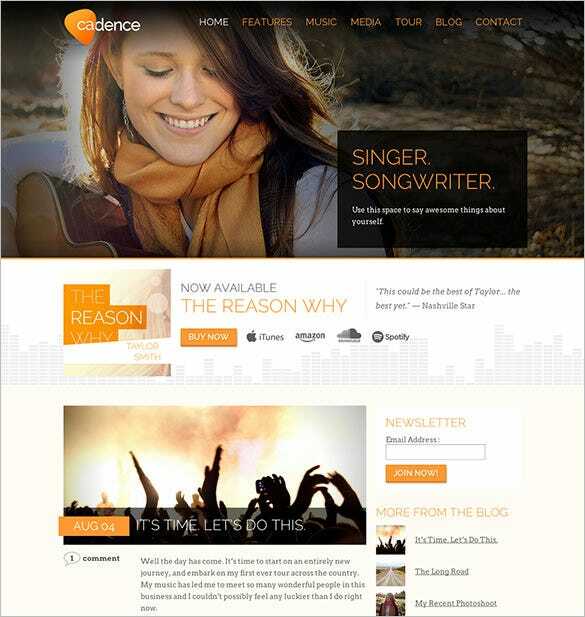 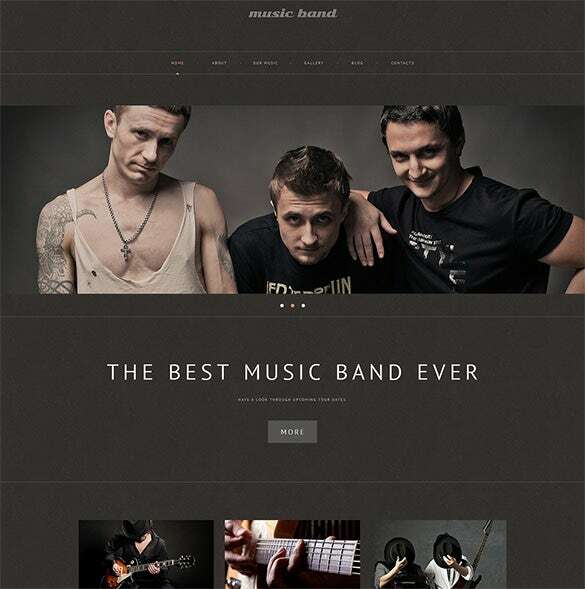 Powered by Bootstrap framework, Music Band Responsive Theme could announce the online presence of your music band. 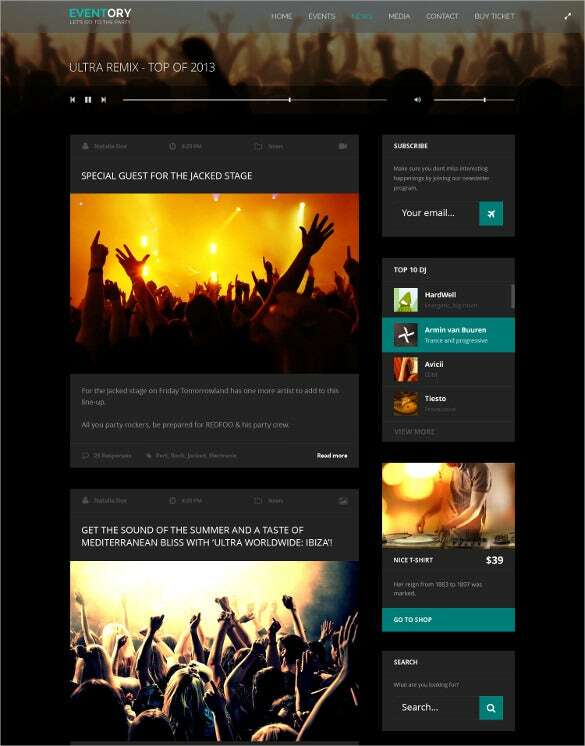 The theme features admin panel, on-line chat options, optimized for search engines and also supports multi-languages. 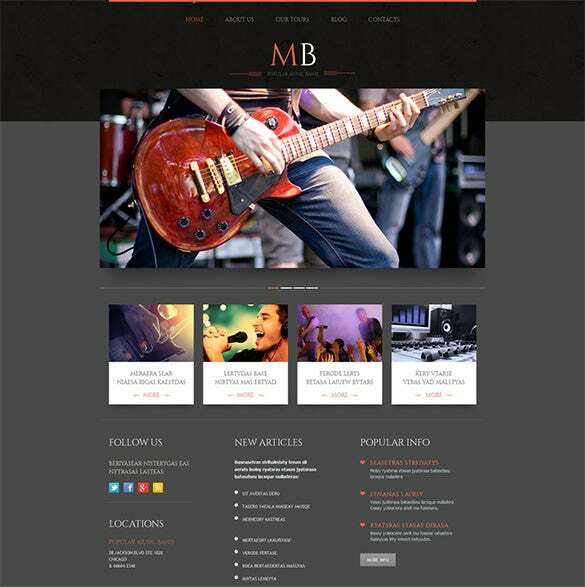 The theme is extensively documented and is designed on a responsive layout. 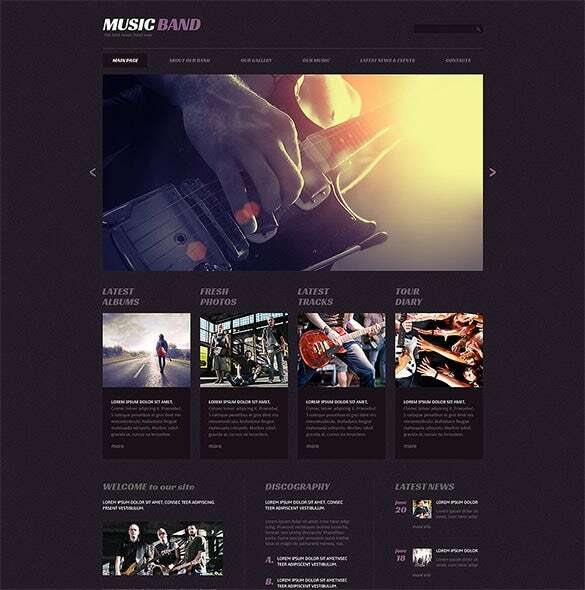 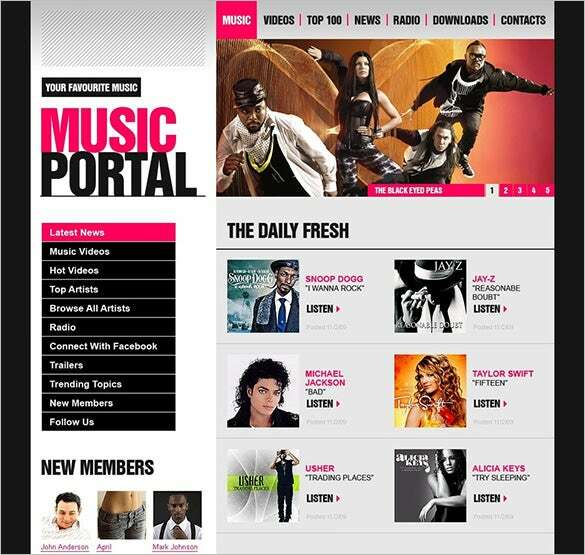 Music & Music Band is an ideal website for musicians, music bands, music stores and anything related to music industry. 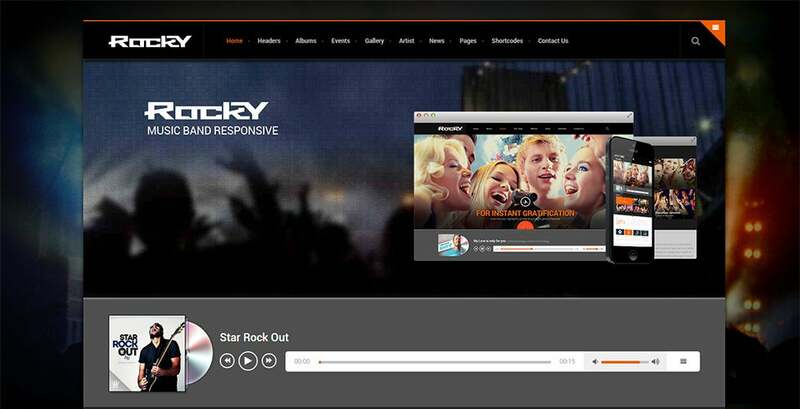 Composed on a sensitive design, the theme has slider revolution, visual composer and page builder, multiple menu layouts, unlimited colors, custom post types, in-built audio player and also supports youtube. 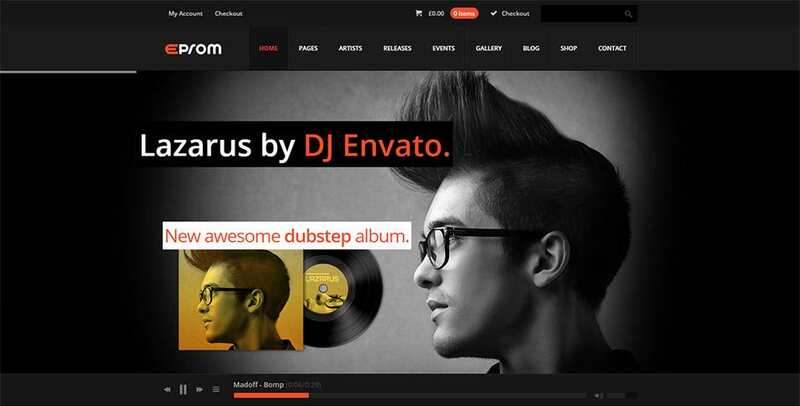 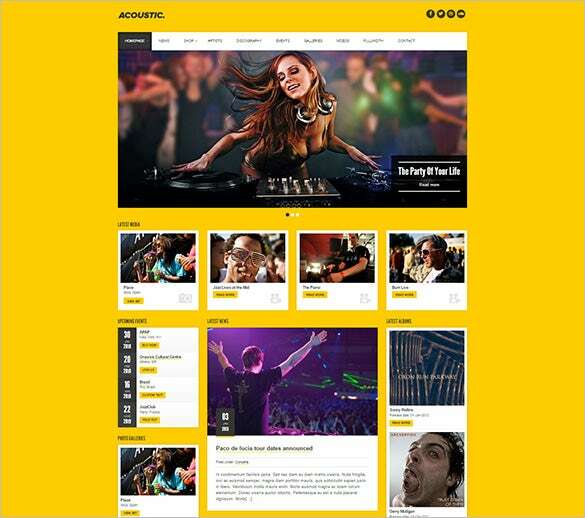 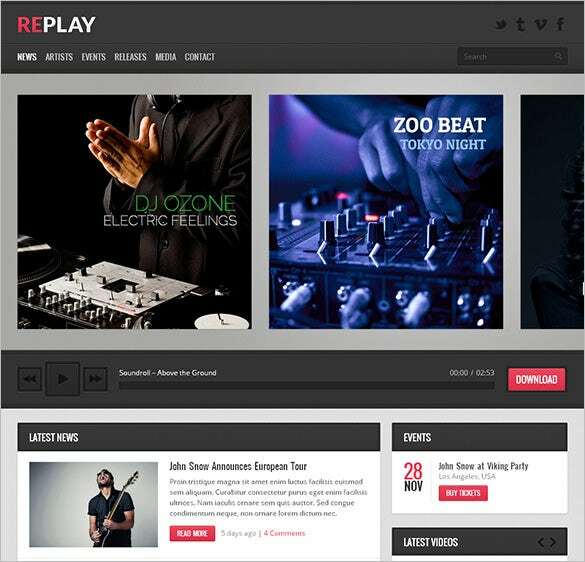 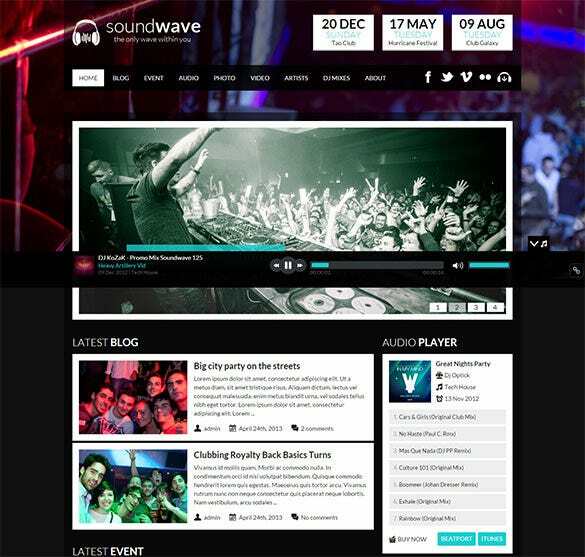 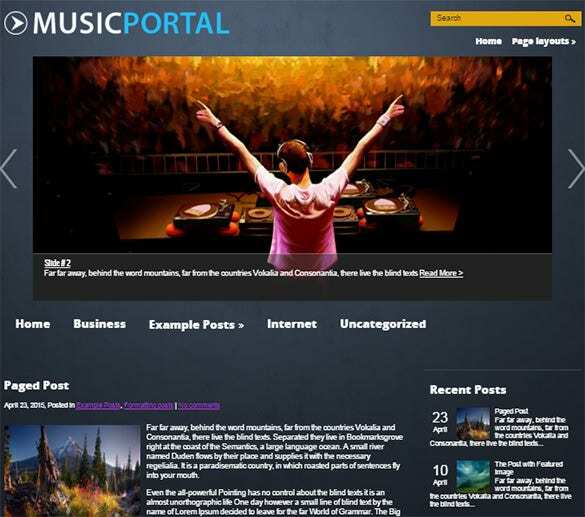 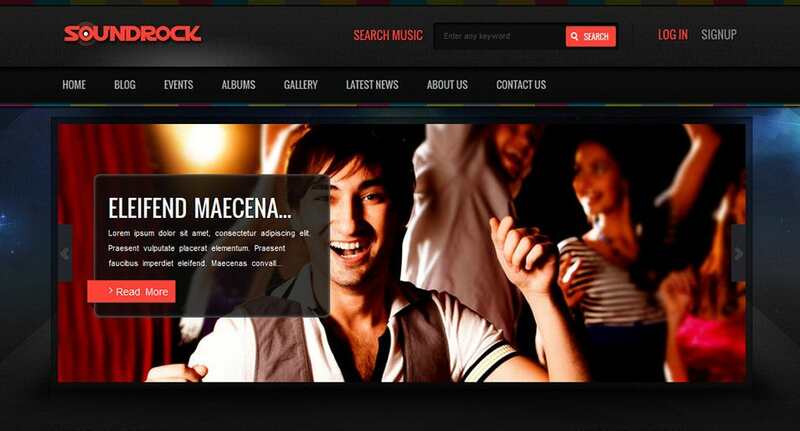 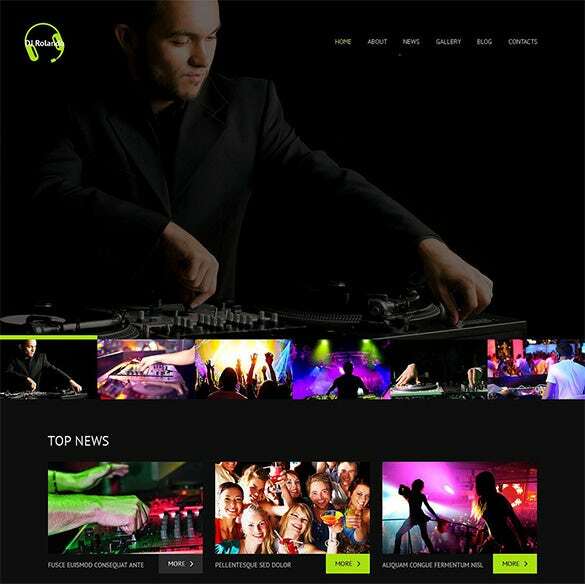 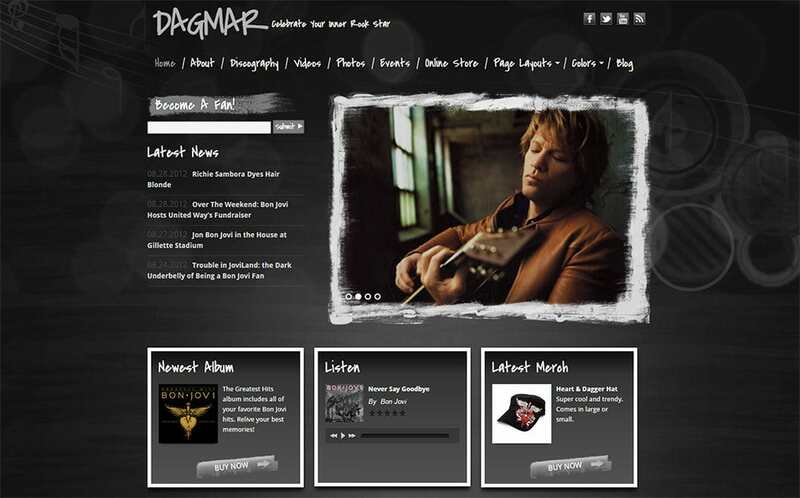 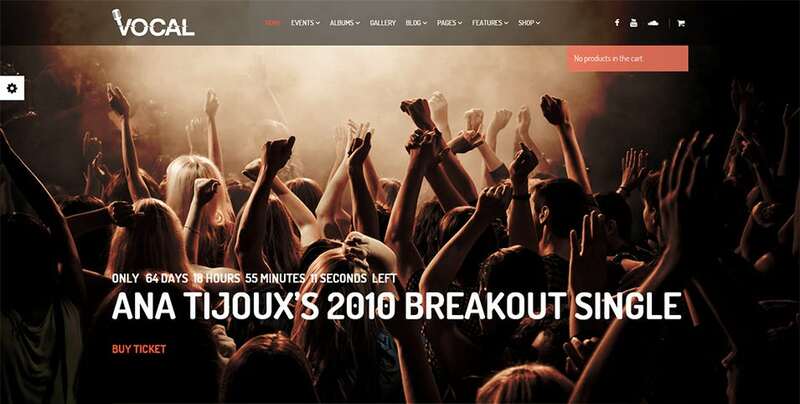 DJ Responsive Theme is exclusively designed for DJ artists and music bands with many added features. 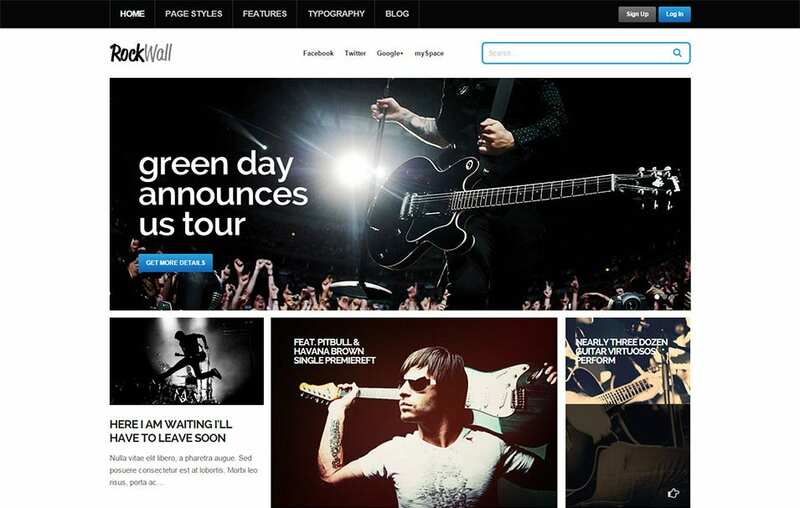 Crafted on a responsive layout, the theme incorporates custom post types, 80 plus shortcodes, and is fully customizable. 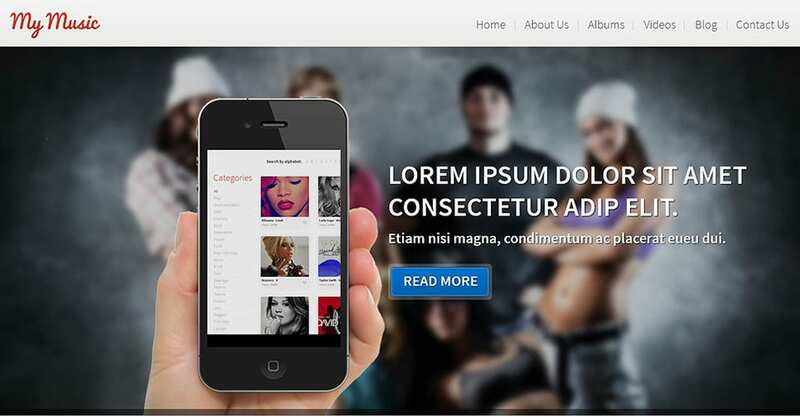 Based on bootstrap framework, it has 4 image sliders, advanced themes and social options. 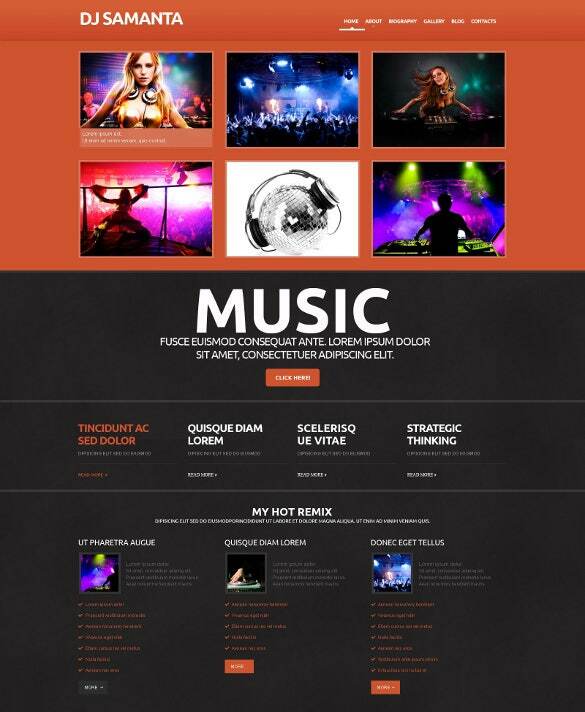 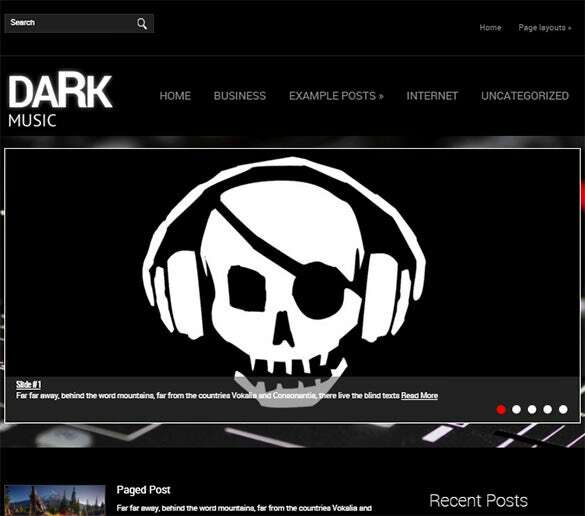 One Page Music Theme is a single page music website template is designed for both professional and amateur music artists and bands. 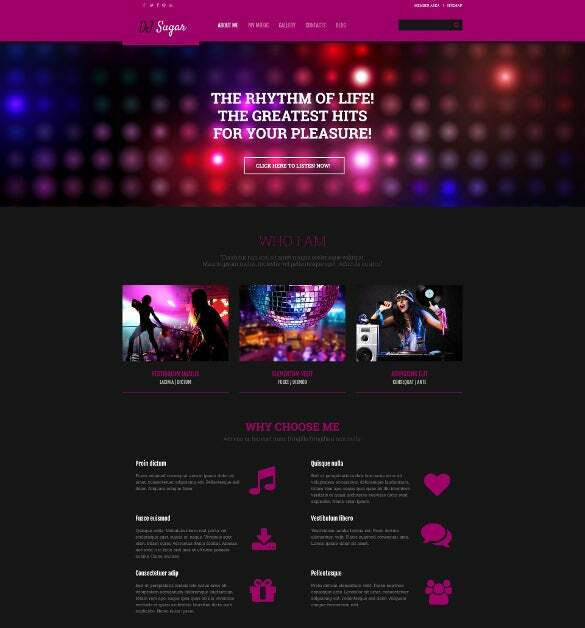 This highly customizable theme also features retina image display, video backgrounds, Parallax effects, image sliders, advanced mp3 player, social options and is built on WolfFramework. 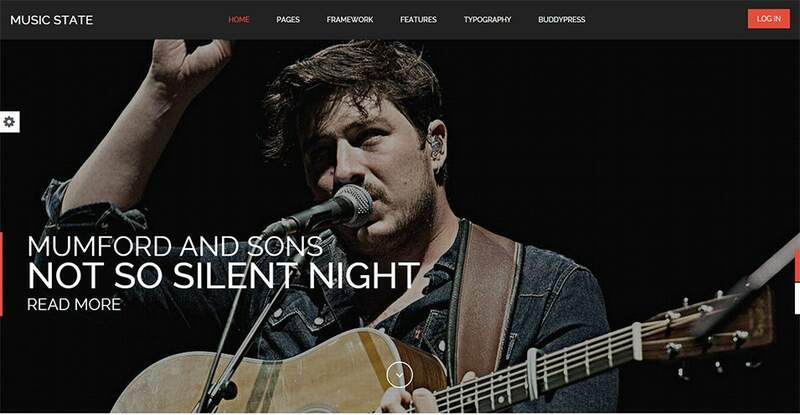 Crafted for music artists, singers and bands, Singer is a responsive website template built in Bootstrap framework. 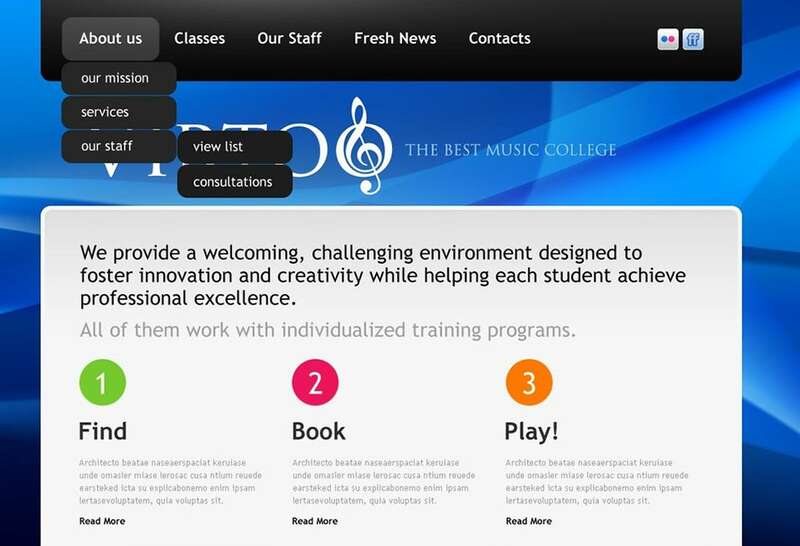 It also incorporates advanced theme options, easy navigational tools, Google maps and web fonts, social options. 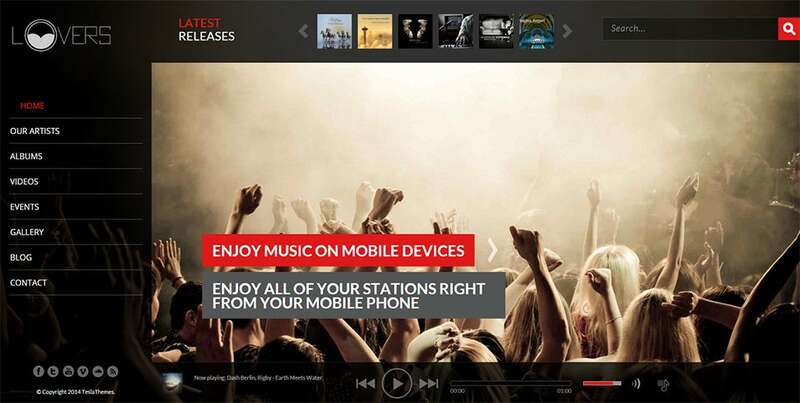 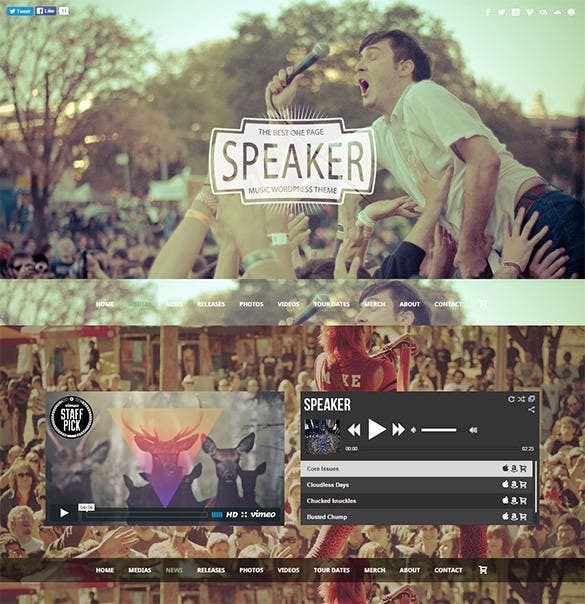 With an in built audio player, it also supports video integration and is extensively documented. 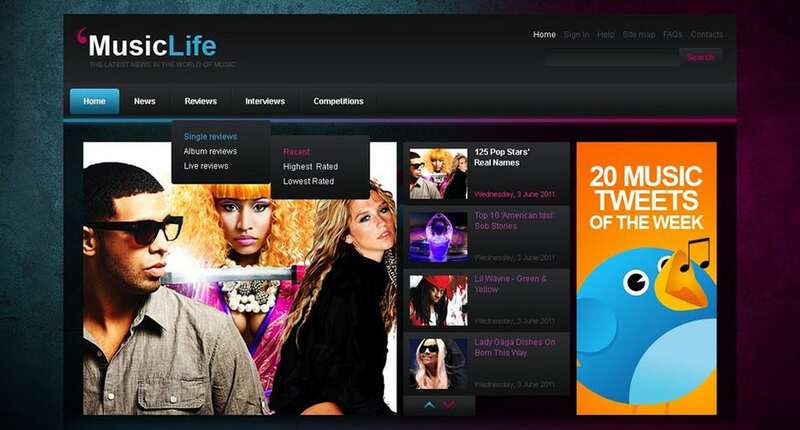 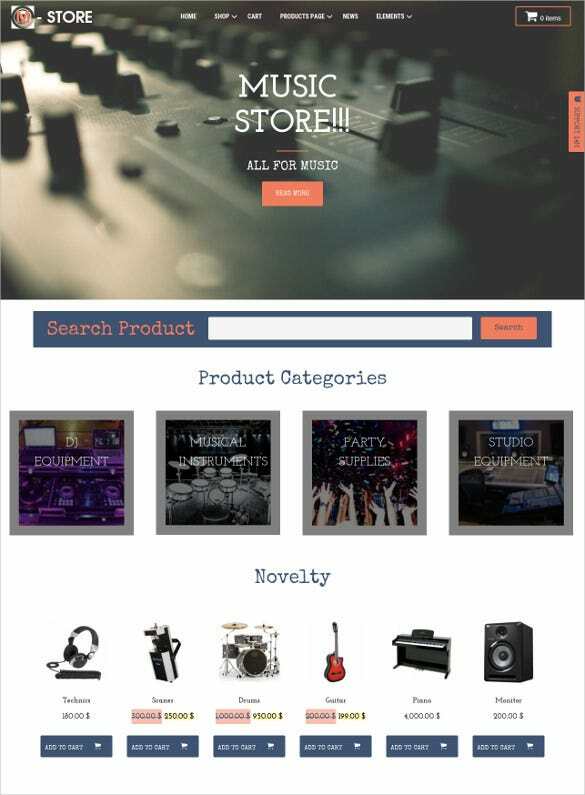 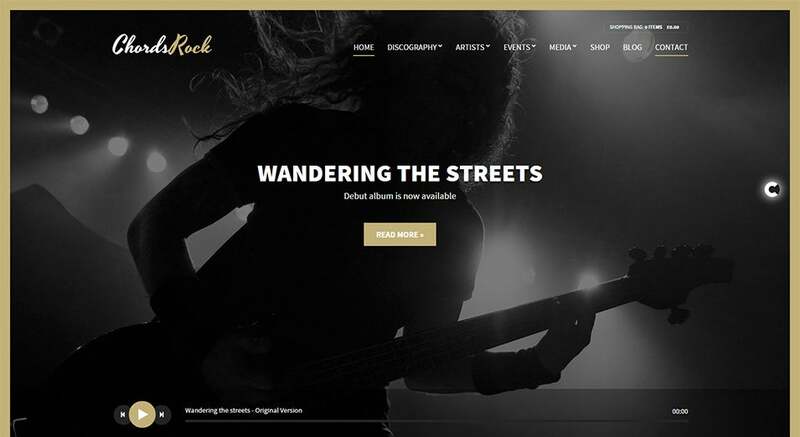 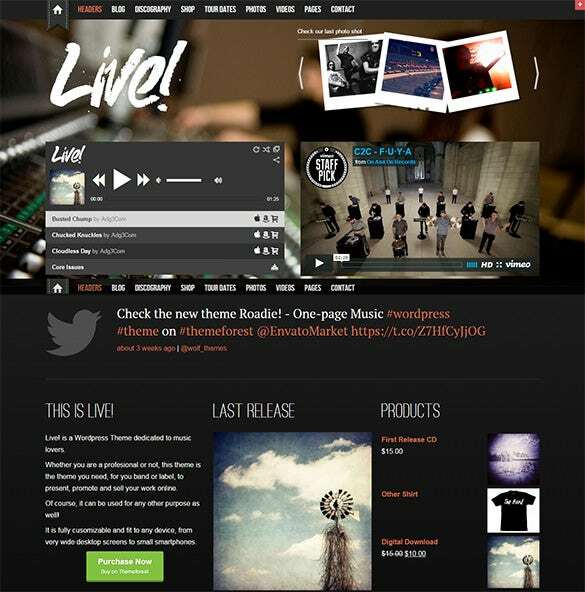 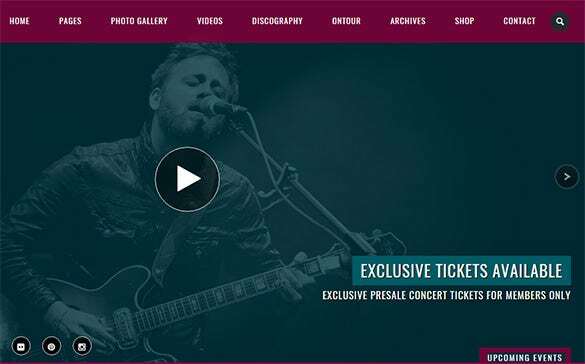 Live is a dynamic music website template crafted for music bands, artist and online music stores, with many advanced features. 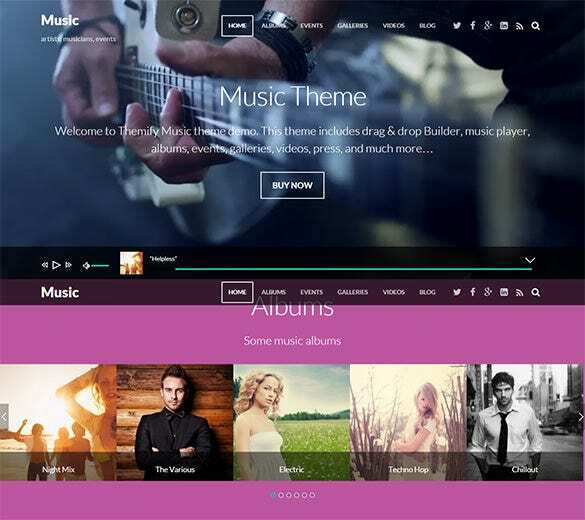 This fully customizable theme is easy to set up and use with other features like responsive layout, retina image display, revolution image sliders, instagram widget and is based on WolfFramework. 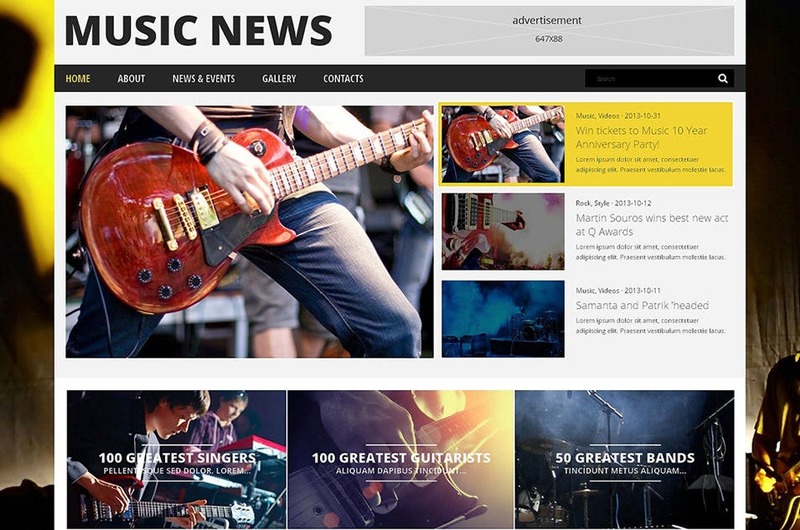 Anybody related to music industry could rely upon Music Band theme to develop a music website for their band or online stores. 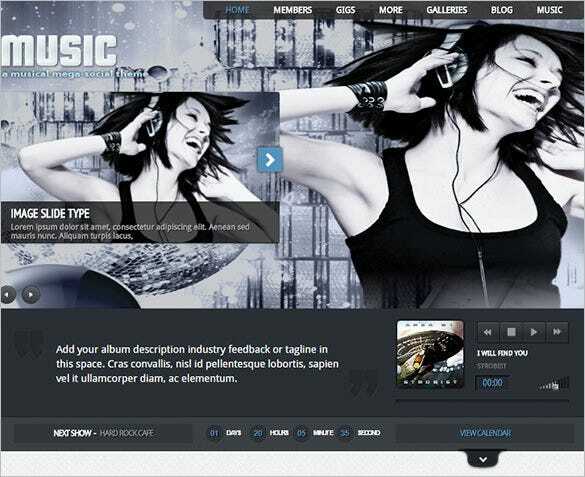 Enabled with more than 80 shortcodes, multi-language support, custom post types, the theme also has in built audio player, advanced theme options, easy navigational tools and social options. 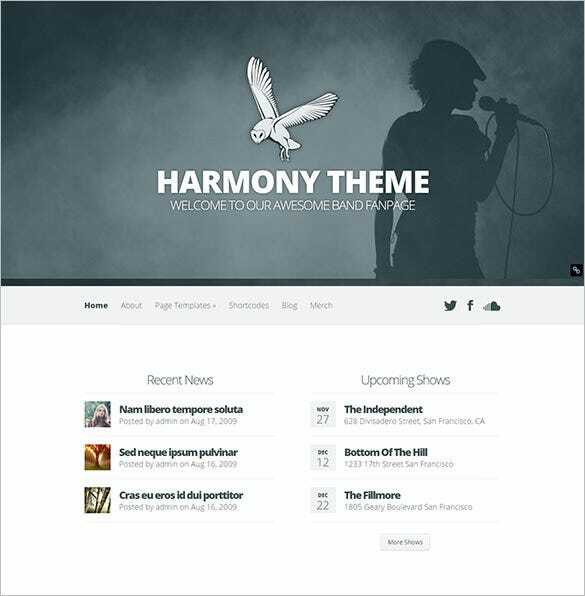 Harmony is absolutely a stunning design for music bands, singers, and music bloggers. 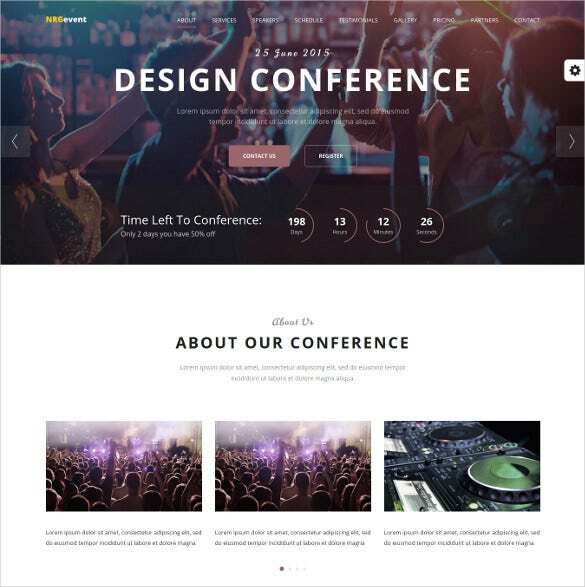 With its dazzling background, it could command the attention of the viewers and also it features audio player, event calendars, and photo uploading options along with responsive design, theme options and shortcodes. 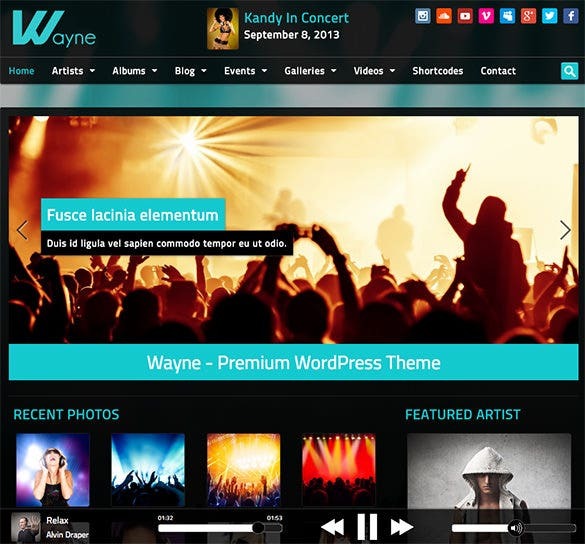 Wayne is crafted for recording artists, record labels and related people in music world. 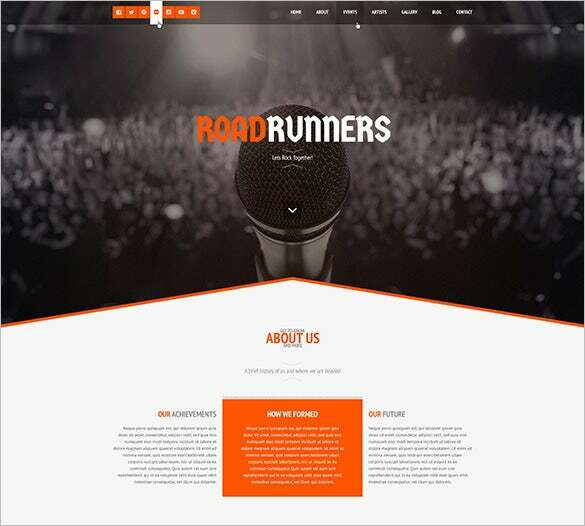 A non-stop audio player, which wouldn’t be disturbed by the browsing is the chief feature of this theme along with responsive design, theme options, customizable fonts, colors and themes, image sliders and shortcodes. 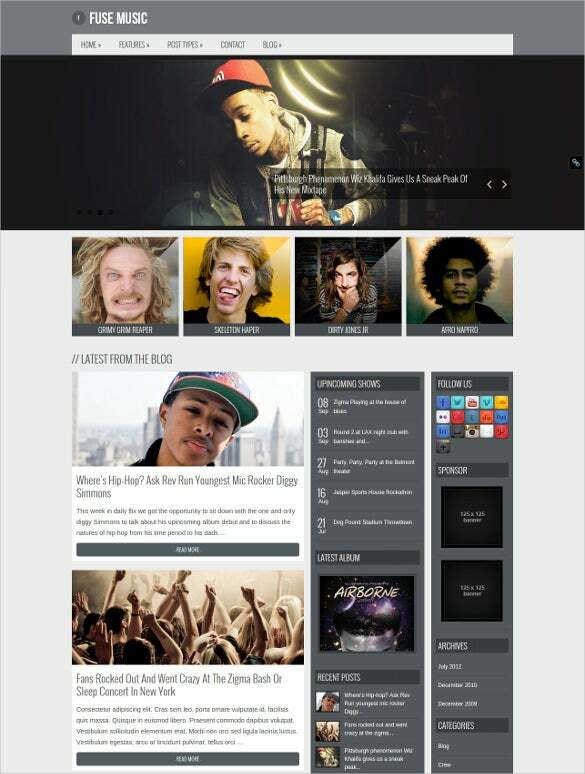 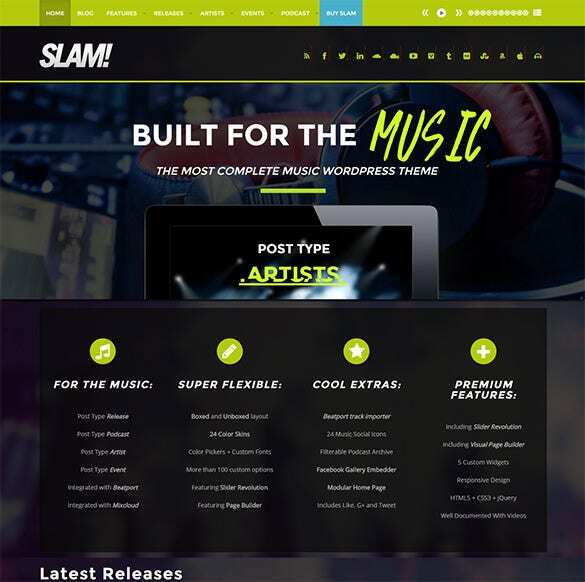 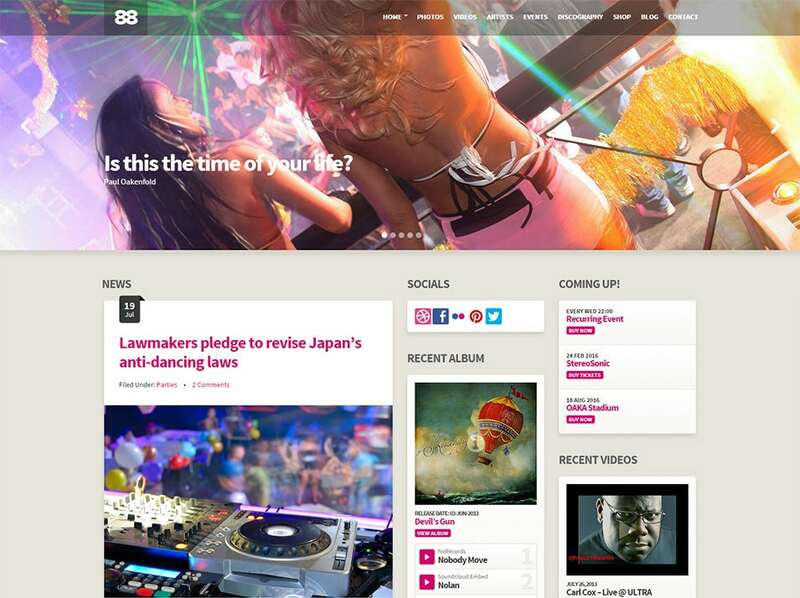 Slam is a fitting website template for record labels, DJs and music producers with many loaded features. 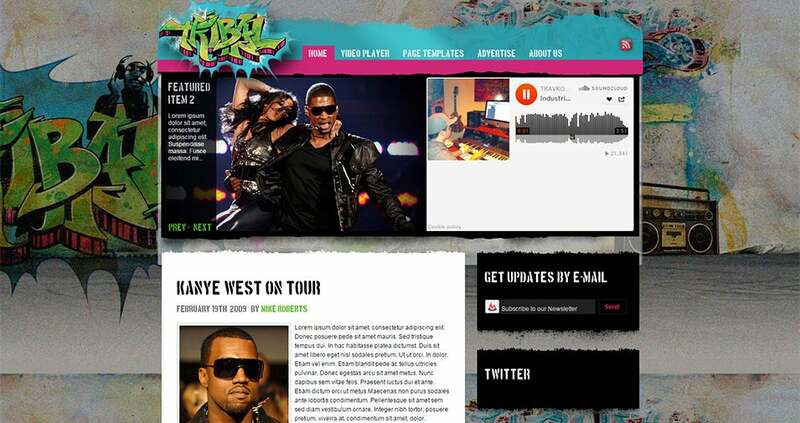 The theme supports radio stations and also has a non-stop audio player with playlist, along with image sliders, cross browser compatibility, widgetizable footer, Favicon design, 24 dark and light skins and many more. 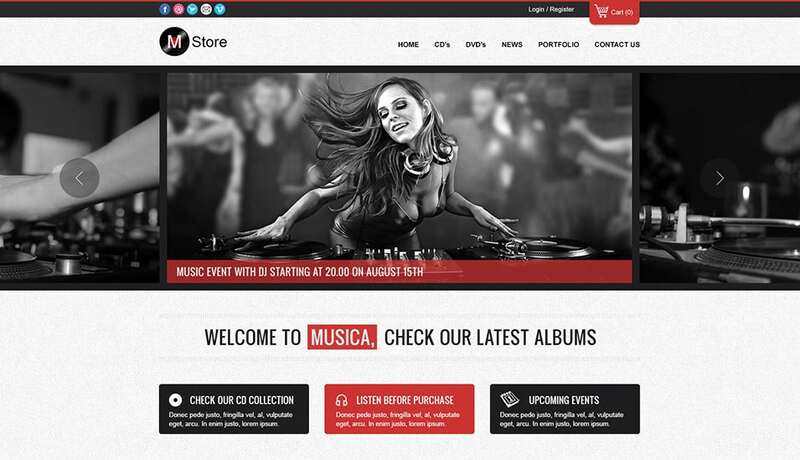 Drag and drop styled front end and back end make it possible for you to conceptualize, create and freeze your music website within just a few hours, that’s the magic of these fully loaded WordPress templates. 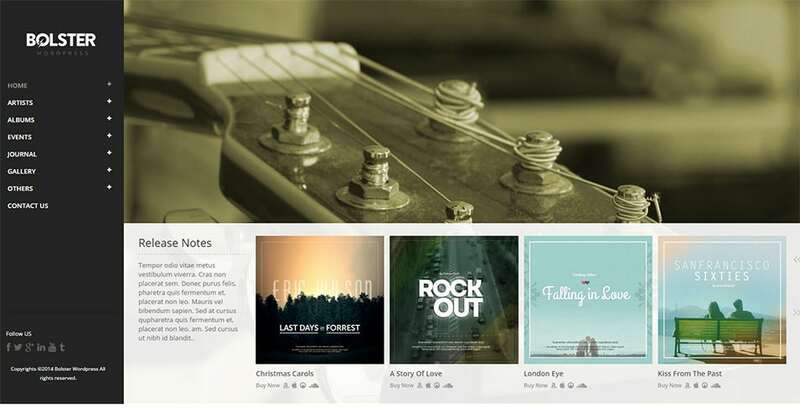 Upload your studio recordings and offer them for free, sample or paid downloads using secure links; offer online previews with settings such as user defined play period, repeat or shuffle, medley makers, and more; promote your upcoming recordings with teasers – all this right from the dashboards and admin panels of your Music WordPress templates. 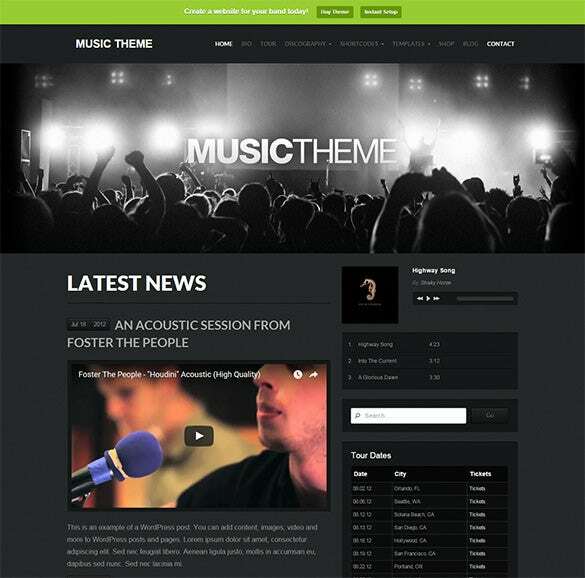 Look out Music Bootstrap Themes. 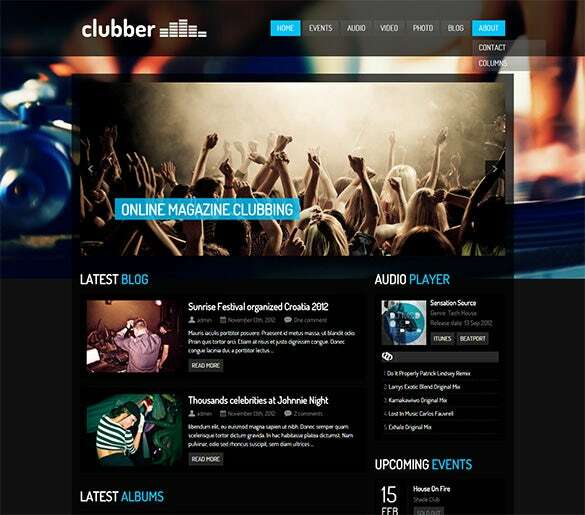 What’s more, you can even offer subscription styled and fix priced premium memberships to your websites, apart from integrating selling features for digital as well as physical goods. 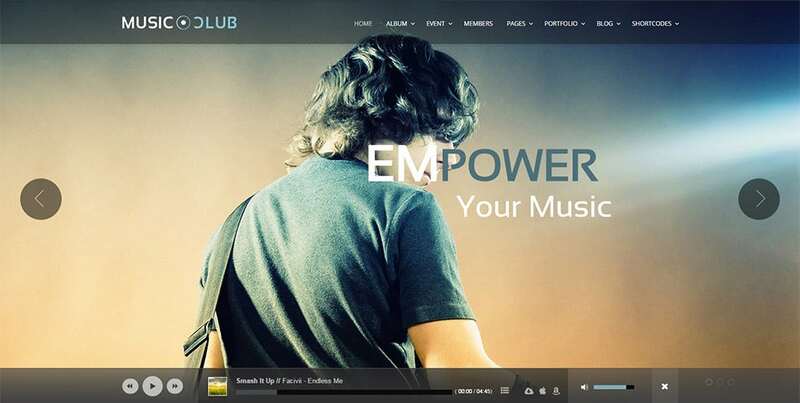 Creating landing page slideshows, fluidic photo galleries, 3D sidebars and navigation menus, and topping everything up with personalized newsletters and marketing tools – everything is facilitated right out of your top notch music templates for WordPress.